Do you regularly give presentations? Are you unsure about timing? Worried you will send your public to sleep? Do you want to give a presentation that sticks, one that brings results? Authors Toon Verlinden and Hans Van de Water set up the company The Floor is Yours in 2012. 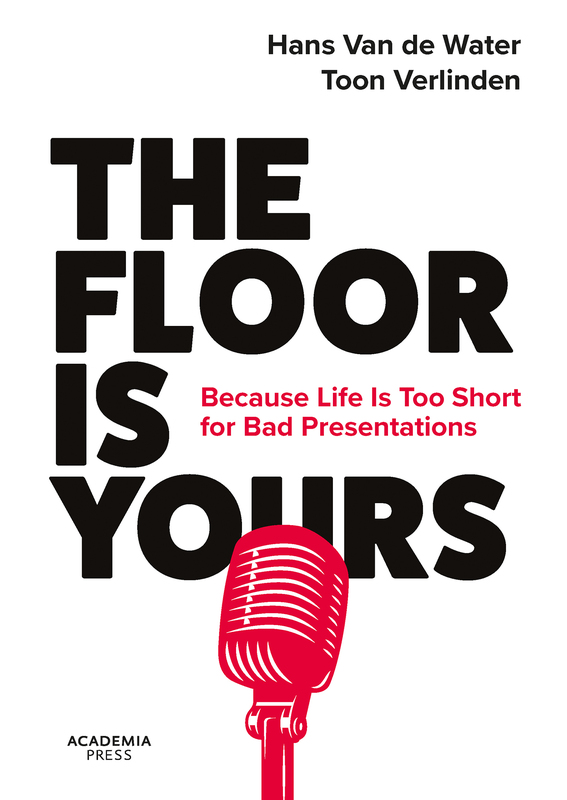 Because 'life is too short for bad presentations', right? They have since trained thousands of researchers in the techniques necessary to prepare and give effective presentations. Drawing on their own wide-ranging experience, they offer useful tips and tricks that will help you score with the audience, and provide solutions for every possible presentation problem. Too introvert? Complex themes? Paralyzed by stress? This book shows that giving a presentation doesn't need to be an ordeal. You will learn how to keep your audience's attention to achieve the results you want and will also be shown a number of classic and instantly recognizable examples of bad presentations, so that you can immediately see how not to do it!